August Fundraisers! 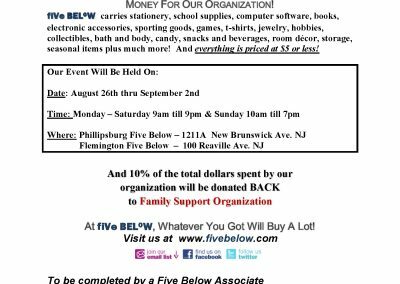 - Family Support Organization of Hunterdon, Somerset & Warren Counties. Starting Saturday August 26th – Thru September 2nd. 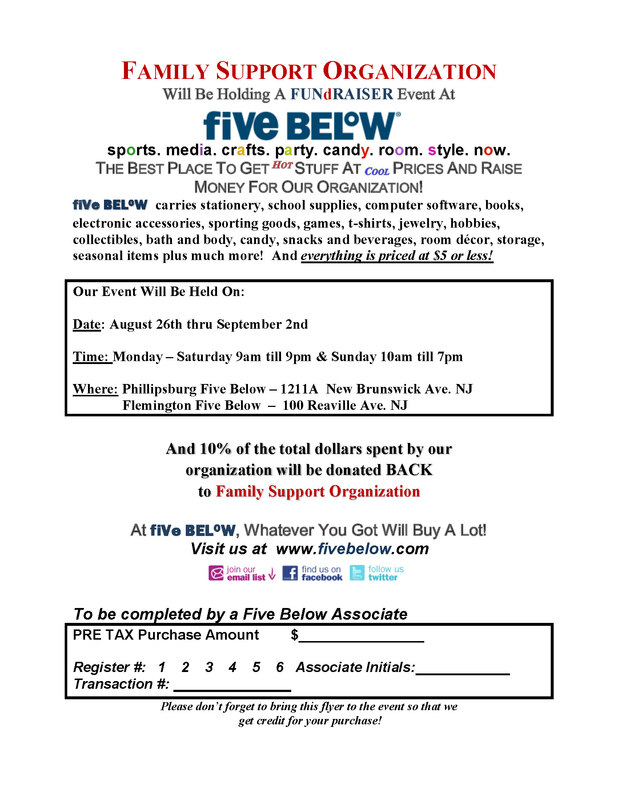 Bring the below flyer to the Five Below in either Phillipsburg or Flemington (see flyer for addresses) – And 10% of your total dollars spent will be donated back to FSO! Click on the below image for more information and to print out a copy! The FSO is a private, non-profit, 501(c)(3) organization funded by the New Jersey Department of Children and Families, Division of Children’s System of Care.